NAZARENE ISRAEL FAITH, TORAH TREASURE TROVE - NETZARIM YISRAELI EMUNAH NAZARENE ISRAELI FAITH - `A DECLARATION OF THOSE THINGS THAT ARE MOST SURELY BELIEVED AMONG US` The Besorah According To Luka: CH 1 vs. 1 & 2. (BEING A FRAMEWORK OF OUR EMUNAH WITH SCRIPTURAL REFERENCES) WE BELIEVE: 1. THE TANAKH (FIRST AND RENEWED COVENANT) IS THE INSPIRED, INERRANT AND INFALLIBLE WORD OF OUR ELOHIM YAHUWEH, AND IS THE ONLY RULE FOR FAITH AND CONDUCT. BY INSPIRED WE MEAN `ELOHIM BREATHED`; IE: THAT YAHUWEH ELOHIM BREATHED INTO HIS KADOSH NEVIIM HIS RUACH AND THEY WROTE UPON PARCHMENT THE SACRED THOUGHTS, INTENTS AND PURPOSES OF YAHUWEH AS HE REVEALED THEM BY HIS RUACH. SINCE ALL SCRIPTURE IS `ELOHIM- BREATHED` IT IS THEREFORE INERRANT AND INFALLIBLE...IE.. INCAPABLE OF ERROR ON ANY LEVEL. (TIMTHEOUS BET: 3 vs16) `ALL THE KEETVAY HAKADOSH ARE GIVEN BY THE INSPIRATION OF YAHUWEH, AND ARE PROFITABLE FOR TEACHING, FOR REPROOF, FOR CORRECTION, AS TORAH IN TZEDAKAH (RIGHTEOUSNESS). WE BELIEVE: 2. IN THE UNITY OF THE ONE TRUE LIVING ELOHIM WHO IS THE ETERNAL, SELF-EXISTENT YAHUWEH AND WHO IS REVEALED AS THE ABBA, THE BEN, AND THE RUACH HA-KODESH. THE ONE TRUE ELOHIM REVEALED AS THE ABBA IN CREATION, THE BEN IN REDEMPTION AND THE RUACH HA-KODESH IN SANCTIFICATION; THAT IS, ABBA ELOHIM CREATED US, YAHUSHUA THE SON REDEEMS US FROM SIN AND THE HOLY SPIRIT (SANCTIFIES) KEEPS/SEPARATES US FROM SIN. IN THE FIRST COVENANT THIS ONE TRUE ELOHIM IS REVEALED AS `YAHUWEH` AND IN THE RENEWED COVENANT THE NAME GIVEN TO YAHUSHUA THE SON MEANS `YAHUWEH SAVES`. THE HOLY SPIRIT IS REFERRED TO AS THE `RUACH OF YAHUWEH` IN THE FIRST COVENANT AND THE `RUACH OF YAHUSHUA HA MOSHIACH IN THE RENEWED COVENANT. THEREFORE WE UNDERSTAND THAT THE ONE TRUE ELOHIM HAS REVEALED HIMSELF TO HIS BELOVED CREATION IN THESE FORMS OR MANIFESTATIONS. NOT THREE `GODS`, OF COURSE, BUT ONLY ONE ELOHIM . THE KEETVAY HAKADOSH (HOLY SCRIPTURES) SPEAKS OF MAN AS ALSO BEING A `TRIUNE` BEING, IE:` BODY, SOUL AND SPIRIT. THAT OF COURSE, DOES NOT MAKE MAN 3 DIFFERENT PEOPLE IN ONE BODY, JUST `3` DIFFERENT PARTS / ATTRIBUTES OF ONE BEING. DEVARIM 6vs.4: "SHEMA YISRAEL, YAHUWEH ELOHIM, YAHUWEH ECHAD"...."HEAR O YISRAEL, YAHUWEH IS OUR ELOHIM, YAHUWEH IS ONE".... (ECHAD MEANING A PLURALITY OF DIVINITY...A COMPOUND UNITY). TIMTHEOUS ALEF: 3vs.16 DECLARES........."AND TRULY, GREAT IS THE MYSTERY OF OUR SHABBAT-GUARDING PIETY AND TZEDAKAH: HE (YAHUWEH) WAS MANIFEST IN THE FLESH, DECLARED RIGHT IN THE RUACH, SEEN BY HEAVENLY MALACHIM, PROCLAIMED AMONG THE HOUSE FROM ALL NATIONS, BELIEVED ON IN THE OLAM HAZEH, THEN RECEIVED UP INTO GLORY." WE BELIEVE: 3. IN THE VIRGIN BIRTH, SUBSTITUTIONARY ATONING DEATH OF OUR MASTER YAHUSHUA HAMOSHIACH, HIS ACTUAL AND PHYSICAL BODILY RESURRECTION AND IN HIS SECOND ADVENT AT THE END OF THE OLAM HAZEH. VIRGIN BIRTH MEANS THAT NO HUMAN MALE HAD A PART IN HIS CONCEPTION. HE WAS MIRACULOUSLY BEGOTTEN BY THE RUACH OF YAHUWEH ACCORDING TO HOLY WRIT. HIS EEMA, MIRYAM, REMAINED A VIRGIN UNTIL AFTER HIS BIRTH. 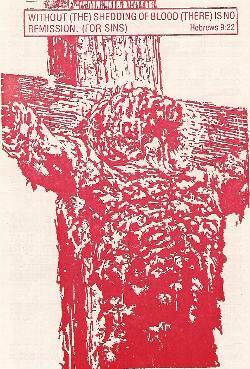 HE DIED IN OUR PLACE, AS OUR SUBSTITUTE, ON THE TREE, SHEDDING HIS REDEEMING BLOOD FOR THE ATONEMENT OF SIN ACCORDING TO PROPHETIC SCRIPTURE. THREE FULL DAYS AND NIGHTS (72 HOURS) AFTER HIS IMPALATION HE ROSE FROM DEATH IN HIS ACTUAL AND LITERAL, PHYSICAL BODY IE. FLESH AND BONE, THUS AGAIN FULFILLING THE DIVINE AND PROPHETIC WORD. HIS SECOND ADVENT OCCURS AT THE END OF THE AGES WHEN HE WILL PHYSICALLY RETURN IN ACCORDANCE WITH THE DIVINE WORD OF YAHUWEH AND RESTORE THE KINGDOM TO YISRAEL. HE THEN WILL ESTABLISH HIS MILLENNIAL RULE FROM JERUSALEM, HOLDING REIGN OVER ALL THE NATIONS OF THE EARTH. YESHAYAHU (ISAIAH):7vs.14:`THEREFORE, YAHUWEH HIMSELF, SHALL GIVE YOU AN OT; SEE THE VIRGIN SHALL CONCEIVE, AND BEAR A SON, AND CALL HIS NAME `EMANU-EL` (MEANING ELOHIM IS WITH US) YESHAYAHU CHS. 52 & 53:..... RELATE TO HIS ATONING DEATH. LUKA CH 24: vs.36-43: .... RELATE TO HIS ACTUAL AND LITERAL PHYSICAL RESURRECTION FROM DEATH. MAASEH SHLICHIM (ACTS) CH 1 vs. 6-11,.... AND TESLONIQ-YAH BET: RELATE TO THE SECOND ADVENT / RETURN OF OUR MASTER YAH FROM HEAVEN. WE BELIEVE: 4. IN THE FALL OF MAN AND SALVATION THROUGH EMUNAH IN THE SHED BLOOD (DAHM) OF YAHUSHUA HAMOSHIACH. MAN IS NOT `ASCENDING` AS THE FALSE AND HOPELESS AND DISCREDITED TEACHING OF EVOLUTION ASSERTS, BUT RATHER HAS FALLEN FROM THE HIGH AND LOFTY (YET HUMBLE) POSITION THAT YAHUWEH ELOHIM AT FIRST MADE AND GAVE HIM. YAHUSHUA HAMOSHIACH ON THE TREE DIED AS OUR SUBSTITUTE TO REDEEM BACK FOR `FALLEN MANKIND` THAT WHICH AHDAHM LOST AND FORFEITED IE. COMMUNION AND RELATIONSHIP WITH OUR BELOVED ELOHIM BY WAY OF THE SIN-BARRIER IN MAN THAT SEPARATES US FROM ELOHIM, BEING REMOVED BY YAHUSHUA`S REDEEMING BLOOD. BERESHEETH (GENESIS) CHS. 1, 2 & 3;KEPHA ALEPH CH.1vs. 15-21.QOLESAY-YAH CH.1vs. 12-22. WE BELIEVE: 5. IN WATER BAPTISM (MIKVAH) OF BELIEVERS BY TOTAL IMMERSION IN THE NAME OF YAHUSHUA HAMOSHIACH. WATER BAPTISM DOES NOT SAVE US FROM SIN, NOR MAKE US A MEMBER OF HIS BODY, NOR GUARANTEE US A PLACE IN THE MALCHUT HASHAMAYIM (KINGDOM OF HEAVEN) . WE CAN HAVE A BATH OR BAPTISM EVERY DAY BUT IT COULD NEVER WASH AWAY SIN.BAPTISM NEVERTHELESS IS A SYMBOL OF A WASHING - AND THE WASHING THAT BAPTISM SYMBOLISES IS THE WASHING OF THE SOUL BY THE BLOOD OF YAHUSHUA-HAMOSHIACH, THE LIVING TORAH. BAPTISM IS AN OUTWARD SIGN TO ALL THAT AN INNER CLEANSING HAS ALREADY TAKEN PLACE. WE ARE COMMANDED TO TESTIFY TO THIS SOUL-CLEANSING POWER OF THE BLOOD OF YAHUSHUA BY AN ACT OF WATER BAPTISM. THE ACT OF WATER BAPTISM IS IN THE NAME (SINGULAR AND NOT TITLES) OF THE ABBA, THE BEN, AND THE RUACH HA-KODESH)... THAT KADOSH NAME OF COURSE IS YAHUSHUA HAMOSHIACH. MATTIT-YAHU CH.28vs.19; MAASEH SHLICHIM (ACTS) 2vs.38; & CH.8 vs. 26-38. WE BELIEVE: 6. IN THE BAPTISM IN THE RUACH HA KODESH AND ACCOMPANYING GIFTS. BAPTISM (MIKVAH) IN THE HOLY SPIRIT (RUACH HA KODESH) MEANS TO BE CONTINUALLY BEING IMMERSED INTO THE GRACE, LOVE AND BLESSINGS OF OUR BELOVED ELOHIM AND TO BE A CONTINUAL RE-CIPIENT OF THE CHARISMATIC GIFTS AS MENTIONED BY RAV SHAUL IN HIS LETTER TO THE YISRAELITE KIDUSHAM AT QORINTYAH. SEE QORINT-YAH ALEF CHAPTER 12. WE BELIEVE: 7. IN DELIVERENCE FROM SICKNESS BY DIVINE HEALING. PHYSICAL, EMOTIONAL AND MENTAL HEALING IS PROVIDED FOR BY THE ATONING AND SACRIFICIAL DEATH OF THE ELOHIM-MAN..... YAHUSHUA HAMOSHIACH. SEE YESHAYAHU (ISAIAH) CH.52&53. THE BOOK OF ACTS (MAASEH SHLICHIM) CH.10 vs.38, DECLARES:"YAHUWEH ANOINTED YAHUSHUA OF NATZERET WITH THE RUACH HAKODESH AND WITH POWER, WHO WENT ABOUT DOING GOOD, AND HEALING ALL WHO WERE OPPRESSED OF SATAN, FOR YAHUWEH WAS WITH HIM". WE BELIEVE: 8. THAT CONTINUANCE IN A STATE OF SALVATION IS DEPENDANT UPON OUR CONTINUED OBEDIENT FAITH IN YAHUWEH ELOHIM`S FINALLY PROVIDED SACRIFICIAL ATONING OFFERING FROM SIN AND ETERNAL DEATH.. THE LAMB AND LIVING TORAH, YAHUSHUAH HAMOSHIACH. WE ARE EXPECTED TO MAINTAIN A HOLY LIFE IN UNION AND FELLOWSHIP WITH OUR MAR YAH AFTER SURRENDERING OUR SOUL TO YAHUSHUA. LUKA CH. 9vs.62; GALUT-YAH CH.5vs.1; GALUT-YAH CH. 6vs. 7 & 8. KEPHA BET CH . 2 vs. 20-22. WE BELIEVE: 9. IN THE EVERLASTING BLISS OF ALL BELIEVERS IN YAHUSHUA HAMOSHIACH (WHO DIE IN THE FAITH OF YAHUWEH) AND THOSE WHO REMAIN ALIVE AND REMAIN IN THE FAITH OF YAHUWEH UNTIL THE RETURN OF YAHUSHUA HAMOSHIACH FROM THE MOST EXCELLENT GLORY; AND WHO ARE WISE SO AS TO PREVENT THE LOSS OF THE RUACH HA KODESH FROM THEIR VESSEL. ALL WHO TRUST IN YAHUSHUA HAMOSHIACH FOR BLOOD-WASHED SALVATION WILL INHERIT ETERNAL CHAIM IN THE SHEKHINA OF THE LAMB WITH UNSPEAKABLE JOYS AND BLISS . SEE GILYAHNA CHS. 21 & 22. 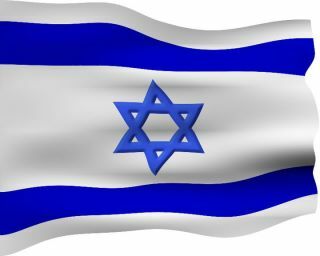 MATTITYAHU CH.25 WE BELIEVE: 10. 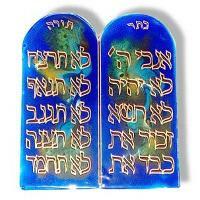 IN THE CONSCIOUS PUNISHMENT OF ALL WHOSE NAMES ARE NOT WRITTEN IN THE LAMB`S SEFER HA CHAIM. 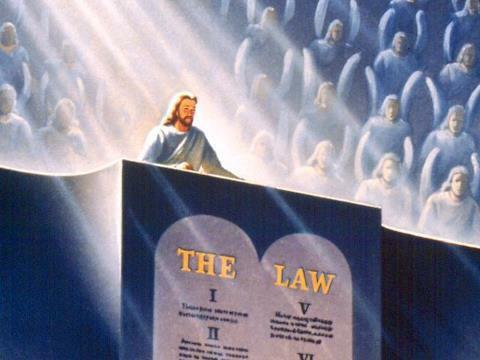 ALL THE WICKED (HO-RSHOIYM) WHO REJECT THE PARDON FREELY OFFERED THROUGH YAHUSHUA HA-MOSHIACH, WHO ACTED AS THEIR SACRIFICIAL OFFERING FOR SIN ON THE TREE, WILL THEN HAVE TO BEAR THE PUNISHMENT DUE THEM, SINCE THEY REFUSE TO LET HIM BE THEIR SUBSTITUTE. ALL THESE, HO-RSHOIYM, THE KEETVAY HAKADOSH DECLARES, WILL BE CAST ALIVE INTO THE LAKE OF FIRE WHERE SATAN AND HIS WICKED SHADIM ARE, AND WILL ENDURE UNSPEAKABLE HORRORS OF TORMENT AND SEPARATION FROM ELOHIM AND BECOME AS ASHES UNDER HIS FEET IN THE JUDGEMENT DAY. SEE GILYAHNA CH. 20 MALACHI CH. 3 WE BELIEVE: 11. THAT ALL DEVOUT TORAH-OBSERVANT JEWS WHO ARE CIRCUMCISED IN HEART (DEVARIM CH.10 vs.16) AND HAVE NOT YET HAD THE REVELATION OF YAHUSHUA AS MOSHIACH, ARE EVEN NOW `SAVED` AND HAVE ETERNAL-LIFE THROUGH THEIR OBEDIENCE AND FAITH IN THE WRITTEN TORAH (EVEN AS `CHRISTIANS` HAVE ETERNAL-LIFE THROUGH THEIR OBEDIENCE AND FAITH IN THE LIVING TORAH, YAHUSHUA). WE REJECT FULLY AND COMPLETELY THE HERESY THAT DEVOUT `CIRCUMCISED IN HEART` TORAH-OBSERVANT JEWS (DEVARIM ch 10 vs 16) ARE `HELL-BOUND` BECAUSE THEY HAVE NOT YET `RECEIVED` YAHUSHUA AS MOSIACH. WE BELIEVE THAT SINCE THEY WALK IN THE SAME `LIFE-GIVING-`CIRCUMCISED-IN-HEART`-FAITH` BY THEIR HEART-FELT TORAH-OBSERVANCE/OBEDIENCE AS THEIR ABBA AVRAHAM AND MOSHE THE DELIVERER AND YOCHANAN THE IMMERSER (WHO ALL WERE `CIRCUMCISED IN HEART`) -AND WHO WILL SAY THAT THESE WERE NOT SAVED? - THEN THEY TOO (DEVOUT, CIRCUMCISED IN HEART, TORAH-OBEDIENT JEWS) ALSO HAVE ETERNAL LIFE, AND ALTHOUGH MANY JEWS ARE HAVING THEIR EYES OPENED TO THEIR MOSHIACH, YAHUSHUA, WE YET AWAIT THE DAY WHEN `KOL YISRAEL` WILL HAVE THE VEIL REMOVED AND ONLY YAHUWEH WILL DO THAT, AND `TIL THEN THEIR OBEDIENCE, FAITH AND LOVE IN AND TO THE WRITTEN TORAH IS THEIR DOOR TO ETERNAL-LIFE. WHERE OPPORTUNITY IS GIVEN, AS BELOVED BLOODWASHED REDEEMED TALMIDIM OF YAHUSHUA HAMOSHIACH, WE COUNT IT A PRIVILEGE TO SHARE THE GOOD NEWS OF THE FIRST AND SOON-COMING SECOND ADVENT OF OUR MAR YAH, WITH ALL ISRAELITES (EPHRAIM AND YAHUDAH) WHETHER IN DIASPORA OR IN ERETZ YISRAEL SO THAT THEY TOO, WITH US MAY REJOICE IN THE ABUNDANT AND JOYOUS LIBERTY FOUND IN SHOMERING BOTH TORAH AND MOSHIACH YAHUSHUA OUR MELECH AND KOHEN HA-GADOL, AND WE AWAIT WITH JOYOUS GLADNESS THE REUNION OF THE WHOLE HOUSE OF YISRAEL, 12 TRIBES, AT THE RETURN OF YAHUSHUA HAMOSHIACH AND THEN JOINING HEARTS WITH THE BLOODWASHED 12 TRIBES OF YISHMA-EL (FOR ELOHIM DID NOT FORGET YISHMA-EL BECAUSE AVRAHAM`S HEARTFELT PRAYER TO HIS ELOHIM REGARDING HIS SON YISHMA-EL WAS.... O THAT YAH`SHMA-EL MAY LIVE BEFORE YOU! ), .......WE, TOGETHER SHALL FLOW TO THE MOUNTAIN OF THE BAYIT OF YAHUWEH AS DECLARED BY THE NAVI YESHAYAHU, CHAPTER 2 vs. 1-5. DEVARIM (DEUTERONOMY) CH. 10:12-21 DEVARIM CHAPTERS 27-30ZECHARYAH CH.12:8-14ZECHARYAH CH. 13:1MATTITYAHU CH. 19:16-21LUKA CH. 10:25-28GILYAH`NA (REVELATION) CH. 22: 11- 16MA-ASEH HA-SCHILICHIM (ACTS) CHAPTERS 3; 5; 8; 11; 13; ETC...IVRIM (HEBREWS) CH. 3:1. BERESHEITH (GENESIS) 17 vs. 18-21.YESHAYAHU, (ISAIAH)CHAPTER 2 vs. 1-5. THE 7TH. DAY SHABBAT WE BELIEVE: 12. THAT IN THE BERESHEITH, YAHUWEH ELOHIM SET APART AND SANCTIFIED THE 7TH. DAY AS A SPECIAL WEEKLY DAY OF REST (SHABBAT) FROM ALL LABOURS FOR ALL HIS CREATION AND THAT THAT HOLY ACT HAS NEVER BEEN ABROGATED OR CHANGED IN ANY WAY, NOR WILL EVER BE. 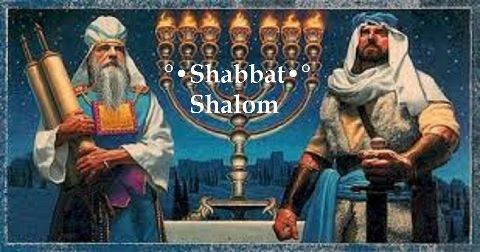 THE 7TH DAY SHABBAT WAS INSTITUTED....... A... FOR ABBA AHDAHM AND ALL HIS ZERA TO FOLLOW.B...BEFORE ABBA AVRAHAM RECEIVED THE COVENANTS C...BEFORE YISRAEL WAS BIRTHED AS A NATION.D...AND BEFORE THE TORAH WAS GIVEN TO RAV MUSA ON THE HOLY MOUNT. 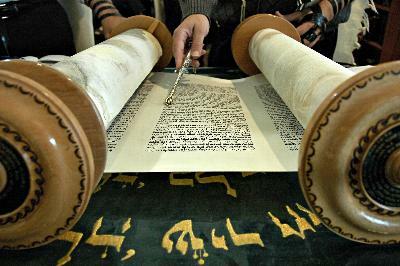 IN THE GIVING OF TORAH TO RAV MUSA, YAHUWEH ELOHIM AGAIN SET HIS SEAL UPON THE 7TH DAY SHABBAT WHICH HE HAD IN THE BEGINNING (BERESHEIT CH:2vs.3) SANCTIFIED AND SET APART AS A WEEKLY SHABBAT AND AGAIN CONFIRMED IT AS BEING FOR ENDLESS GENERATIONS, AND INSTRUCTED HIS PEOPLE TO "REMEMBER THE 7TH DAY TO KEEP IT KADOSH" AS DECLARED IN THE 4TH. COMMAND. ALSO, IN THE DECLARATION OF OUR REDEEMER AND MAR YAH, YAHUSHUA HAMOSHIACH AS SET OUT IN THE SCROLL OF MATTITYAHU CH.5 vs. 17-19; YAHUSHUA DECLARES THAT THE TORAH (WHICH INCLUDES THE 7TH DAY SHABBAT) IS LE-OLAM-VAED... "THINK NOT THAT I AM COME TO WEAKEN OR DESTROY THE TORAH, OR THE NEVIIM: I HAVE NOT COME TO WEAKEN OR DESTROY, BUT TO COMPLETELY REVEAL IT IN ITS INTENDED FULNESS, FOR TRULY I SAY TO YOU, UNTIL THE CURRENT SHAMAYIM AND EARTH PASS AWAY, NOT ONE YUD, OR ONE NEKUDAH, SHALL BY ANY MEANS PASS FROM THE TORAH, UNTIL ALL BE FULFILLED. WHOEVER THEREFORE SHALL BREAK, OR WEAKEN ONE OF THE LEAST TORAH COMMANDMENTS, AND SHALL TEACH MEN SO, HE SHALL BE CALLED THE LEAST IN THE MALCHUT HA SHAMAYIM: BUT WHOEVER SHALL DO AND TEACH THE COMMANDS, THE SAME SHALL BE CALLED GREAT IN THE MALCHUT HA SHAMAYIM".... ALL THE TALMIDIM, SHOLIACH AND NEVIIM OF THE RENEWED COVENANT, FOR EXAMPLE, RAV SHAUL, KEPHA, YAAKOV AND YOCHANAN FAITHFULLY OBSERVED THE 7TH DAY SHABBAT AND WERE FOUND SHABBAT BY SHABBAT IN THE SYNAGOGUE OR TEMPLE, AND ALSO EXPECTED ALL THE BLOODWASHED TALMIDIM OF YAHUSHUA TO OBSERVE THE 7TH DAY SHABBAT BY RESTING FROM THEIR LABOURS AND ATTENDING SYNAGOGUE IN ORDER TO HEAR ALL TORAH INSTRUCTION AND FOLLOW IT AS THEY CONTINUALLY DID. (MASEH SHLICHIM- ACTS CH.15:17-21). THEREFORE SINCE THE 7TH. DAY SHABBAT WAS SET APART AND SANCTIFIED AT THE BEGINNING, WAS OBSERVED BY ALL THE YISRAEL CONGREGATION OF YAHUWEH IN THE FIRST COVENANT AND WAS FAITHFULLY OBSERVED BY THE EARLY BLOODWASHED TALMIDIM OF YAHUSHUA HAMOSHIACH, WE BELIEVE THAT IT STILL IS AND EVER WILL BE THE SET-APART WEEKLY SHABBAT FOR ALL THE CREATION OF ELOHIM LE-OLAM VA-ED. THE TRUE NAME WE BELIEVE: 13. THAT ALL TALMIDIM (DISCIPLES/FOLLOWERS) OF YAHUSHUA HAMOSHIACH WILL DESIRE BY THE RUACH HAKODESH, TO USE AT ALL TIMES, THE TRUE NAME OF THE ABBA AS REVEALED IN THE KEETVAY HAKADOSH, `YAHUWEH;` AND THE TRUE NAME OF THE SON, `YAHUSHUA` AS DECLARED BY YAHUSHUA HIMSELF IN THE BOOK OF YOCHANAN CH.17: vs. 6 & 26. The Besorah According To Luka: CH 1 vs. 1 & 2. 1. THE TANAKH (FIRST AND RENEWED COVENANT) IS THE INSPIRED, INERRANT AND INFALLIBLE WORD OF OUR ELOHIM YAHUWEH, AND IS THE ONLY RULE FOR FAITH AND CONDUCT. BY INSPIRED WE MEAN `ELOHIM BREATHED`; IE: THAT YAHUWEH ELOHIM BREATHED INTO HIS KADOSH NEVIIM HIS RUACH AND THEY WROTE UPON PARCHMENT THE SACRED THOUGHTS, INTENTS AND PURPOSES OF YAHUWEH AS HE REVEALED THEM BY HIS RUACH. `ALL THE KEETVAY HAKADOSH ARE GIVEN BY THE INSPIRATION OF YAHUWEH, AND ARE PROFITABLE FOR TEACHING, FOR REPROOF, FOR CORRECTION, AS TORAH IN TZEDAKAH (RIGHTEOUSNESS). 2. IN THE UNITY OF THE ONE TRUE LIVING ELOHIM WHO IS THE ETERNAL, SELF-EXISTENT YAHUWEH AND WHO IS REVEALED AS THE ABBA, THE BEN, AND THE RUACH HA-KODESH. THE ONE TRUE ELOHIM REVEALED AS THE ABBA IN CREATION, THE BEN IN REDEMPTION AND THE RUACH HA-KODESH IN SANCTIFICATION; THAT IS, ABBA ELOHIM CREATED US, YAHUSHUA THE SON REDEEMS US FROM SIN AND THE HOLY SPIRIT (SANCTIFIES) KEEPS/SEPARATES US FROM SIN. AND IN THE RENEWED COVENANT THE NAME GIVEN TO YAHUSHUA THE SON MEANS `YAHUWEH SAVES`. THE HOLY SPIRIT IS REFERRED TO AS THE `RUACH OF YAHUWEH` IN THE FIRST COVENANT AND THE `RUACH OF YAHUSHUA HA MOSHIACH IN THE RENEWED COVENANT. THEREFORE WE UNDERSTAND THAT THE ONE TRUE ELOHIM HAS REVEALED HIMSELF TO HIS BELOVED CREATION IN THESE FORMS OR MANIFESTATIONS. NOT THREE `GODS`, OF COURSE, BUT ONLY ONE ELOHIM . THE KEETVAY HAKADOSH (HOLY SCRIPTURES) SPEAKS OF MAN AS ALSO BEING A `TRIUNE` BEING, IE:` BODY, SOUL AND SPIRIT. JUST `3` DIFFERENT PARTS / ATTRIBUTES OF ONE BEING. (ECHAD MEANING A PLURALITY OF DIVINITY...A COMPOUND UNITY). TIMTHEOUS ALEF: 3vs.16 DECLARES........."AND TRULY, GREAT IS THE MYSTERY OF OUR SHABBAT-GUARDING PIETY AND TZEDAKAH: HE (YAHUWEH) WAS MANIFEST IN THE FLESH, DECLARED RIGHT IN THE RUACH, SEEN BY HEAVENLY MALACHIM, PROCLAIMED AMONG THE HOUSE FROM ALL NATIONS, BELIEVED ON IN THE OLAM HAZEH, THEN RECEIVED UP INTO GLORY." 3. IN THE VIRGIN BIRTH, SUBSTITUTIONARY ATONING DEATH OF OUR MASTER YAHUSHUA HAMOSHIACH, HIS ACTUAL AND PHYSICAL BODILY RESURRECTION AND IN HIS SECOND ADVENT AT THE END OF THE OLAM HAZEH. VIRGIN BIRTH MEANS THAT NO HUMAN MALE HAD A PART IN HIS CONCEPTION. HE WAS MIRACULOUSLY BEGOTTEN BY THE RUACH OF YAHUWEH ACCORDING TO HOLY WRIT. HIS EEMA, MIRYAM, REMAINED A VIRGIN UNTIL AFTER HIS BIRTH. HE DIED IN OUR PLACE, AS OUR SUBSTITUTE, ON THE TREE, SHEDDING HIS REDEEMING BLOOD FOR THE ATONEMENT OF SIN ACCORDING TO PROPHETIC SCRIPTURE. THREE FULL DAYS AND NIGHTS (72 HOURS) AFTER HIS IMPALATION HE ROSE FROM DEATH IN HIS ACTUAL AND LITERAL, PHYSICAL BODY IE. FLESH AND BONE, THUS AGAIN FULFILLING THE DIVINE AND PROPHETIC WORD. HIS SECOND ADVENT OCCURS AT THE END OF THE AGES WHEN HE WILL PHYSICALLY RETURN IN ACCORDANCE WITH THE DIVINE WORD OF YAHUWEH AND RESTORE THE KINGDOM TO YISRAEL. HE THEN WILL ESTABLISH HIS MILLENNIAL RULE FROM JERUSALEM, HOLDING REIGN OVER ALL THE NATIONS OF THE EARTH. YESHAYAHU CHS. 52 & 53:..... RELATE TO HIS ATONING DEATH. LUKA CH 24: vs.36-43: .... RELATE TO HIS ACTUAL AND LITERAL PHYSICAL RESURRECTION FROM DEATH. MAASEH SHLICHIM (ACTS) CH 1 vs. 6-11,.... AND TESLONIQ-YAH BET: RELATE TO THE SECOND ADVENT / RETURN OF OUR MASTER YAH FROM HEAVEN. 4. IN THE FALL OF MAN AND SALVATION THROUGH EMUNAH IN THE SHED BLOOD (DAHM) OF YAHUSHUA HAMOSHIACH. MAN IS NOT `ASCENDING` AS THE FALSE AND HOPELESS AND DISCREDITED TEACHING OF EVOLUTION ASSERTS, BUT RATHER HAS FALLEN FROM THE HIGH AND LOFTY (YET HUMBLE) POSITION THAT YAHUWEH ELOHIM AT FIRST MADE AND GAVE HIM. YAHUSHUA HAMOSHIACH ON THE TREE DIED AS OUR SUBSTITUTE TO REDEEM BACK FOR `FALLEN MANKIND` THAT WHICH AHDAHM LOST AND FORFEITED IE. COMMUNION AND RELATIONSHIP WITH OUR BELOVED ELOHIM BY WAY OF THE SIN-BARRIER IN MAN THAT SEPARATES US FROM ELOHIM, BEING REMOVED BY YAHUSHUA`S REDEEMING BLOOD. 5. IN WATER BAPTISM (MIKVAH) OF BELIEVERS BY TOTAL IMMERSION IN THE NAME OF YAHUSHUA HAMOSHIACH. WATER BAPTISM DOES NOT SAVE US FROM SIN, NOR MAKE US A MEMBER OF HIS BODY, NOR GUARANTEE US A PLACE IN THE MALCHUT HASHAMAYIM (KINGDOM OF HEAVEN) . WE CAN HAVE A BATH OR BAPTISM EVERY DAY BUT IT COULD NEVER WASH AWAY SIN. BAPTISM NEVERTHELESS IS A SYMBOL OF A WASHING - AND THE WASHING THAT BAPTISM SYMBOLISES IS THE WASHING OF THE SOUL BY THE BLOOD OF YAHUSHUA-HAMOSHIACH, THE LIVING TORAH. BAPTISM IS AN OUTWARD SIGN TO ALL THAT AN INNER CLEANSING HAS ALREADY TAKEN PLACE. WE ARE COMMANDED TO TESTIFY TO THIS SOUL-CLEANSING POWER OF THE BLOOD OF YAHUSHUA BY AN ACT OF WATER BAPTISM. THAT KADOSH NAME OF COURSE IS YAHUSHUA HAMOSHIACH. MAASEH SHLICHIM (ACTS) 2vs.38; & CH.8 vs. 26-38. 6. IN THE BAPTISM IN THE RUACH HA KODESH AND ACCOMPANYING GIFTS. BAPTISM (MIKVAH) IN THE HOLY SPIRIT (RUACH HA KODESH) MEANS TO BE CONTINUALLY BEING IMMERSED INTO THE GRACE, LOVE AND BLESSINGS OF OUR BELOVED ELOHIM AND TO BE A CONTINUAL RE-CIPIENT OF THE CHARISMATIC GIFTS AS MENTIONED BY RAV SHAUL IN HIS LETTER TO THE YISRAELITE KIDUSHAM AT QORINTYAH. SEE QORINT-YAH ALEF CHAPTER 12. 7. IN DELIVERENCE FROM SICKNESS BY DIVINE HEALING. PHYSICAL, EMOTIONAL AND MENTAL HEALING IS PROVIDED FOR BY THE ATONING AND SACRIFICIAL DEATH OF THE ELOHIM-MAN..... YAHUSHUA HAMOSHIACH. "YAHUWEH ANOINTED YAHUSHUA OF NATZERET WITH THE RUACH HAKODESH AND WITH POWER, WHO WENT ABOUT DOING GOOD, AND HEALING ALL WHO WERE OPPRESSED OF SATAN, FOR YAHUWEH WAS WITH HIM". 8. THAT CONTINUANCE IN A STATE OF SALVATION IS DEPENDANT UPON OUR CONTINUED OBEDIENT FAITH IN YAHUWEH ELOHIM`S FINALLY PROVIDED SACRIFICIAL ATONING OFFERING FROM SIN AND ETERNAL DEATH.. THE LAMB AND LIVING TORAH, YAHUSHUAH HAMOSHIACH. WE ARE EXPECTED TO MAINTAIN A HOLY LIFE IN UNION AND FELLOWSHIP WITH OUR MAR YAH AFTER SURRENDERING OUR SOUL TO YAHUSHUA. GALUT-YAH CH. 6vs. 7 & 8. KEPHA BET CH . 2 vs. 20-22. 9. IN THE EVERLASTING BLISS OF ALL BELIEVERS IN YAHUSHUA HAMOSHIACH (WHO DIE IN THE FAITH OF YAHUWEH) AND THOSE WHO REMAIN ALIVE AND REMAIN IN THE FAITH OF YAHUWEH UNTIL THE RETURN OF YAHUSHUA HAMOSHIACH FROM THE MOST EXCELLENT GLORY; AND WHO ARE WISE SO AS TO PREVENT THE LOSS OF THE RUACH HA KODESH FROM THEIR VESSEL. ALL WHO TRUST IN YAHUSHUA HAMOSHIACH FOR BLOOD-WASHED SALVATION WILL INHERIT ETERNAL CHAIM IN THE SHEKHINA OF THE LAMB WITH UNSPEAKABLE JOYS AND BLISS . SEE GILYAHNA CHS. 21 & 22. 10. IN THE CONSCIOUS PUNISHMENT OF ALL WHOSE NAMES ARE NOT WRITTEN IN THE LAMB`S SEFER HA CHAIM. ALL THE WICKED (HO-RSHOIYM) WHO REJECT THE PARDON FREELY OFFERED THROUGH YAHUSHUA HA-MOSHIACH, WHO ACTED AS THEIR SACRIFICIAL OFFERING FOR SIN ON THE TREE, WILL THEN HAVE TO BEAR THE PUNISHMENT DUE THEM, SINCE THEY REFUSE TO LET HIM BE THEIR SUBSTITUTE. ALL THESE, HO-RSHOIYM, THE KEETVAY HAKADOSH DECLARES, WILL BE CAST ALIVE INTO THE LAKE OF FIRE WHERE SATAN AND HIS WICKED SHADIM ARE, AND WILL ENDURE UNSPEAKABLE HORRORS OF TORMENT AND SEPARATION FROM ELOHIM AND BECOME AS ASHES UNDER HIS FEET IN THE JUDGEMENT DAY. 11. THAT ALL DEVOUT TORAH-OBSERVANT JEWS WHO ARE CIRCUMCISED IN HEART (DEVARIM CH.10 vs.16) AND HAVE NOT YET HAD THE REVELATION OF YAHUSHUA AS MOSHIACH, ARE EVEN NOW `SAVED` AND HAVE ETERNAL-LIFE THROUGH THEIR OBEDIENCE AND FAITH IN THE WRITTEN TORAH (EVEN AS `CHRISTIANS` HAVE ETERNAL-LIFE THROUGH THEIR OBEDIENCE AND FAITH IN THE LIVING TORAH, YAHUSHUA). WE REJECT FULLY AND COMPLETELY THE HERESY THAT DEVOUT `CIRCUMCISED IN HEART` TORAH-OBSERVANT JEWS (DEVARIM ch 10 vs 16) ARE `HELL-BOUND` BECAUSE THEY HAVE NOT YET `RECEIVED` YAHUSHUA AS MOSIACH. WE BELIEVE THAT SINCE THEY WALK IN THE SAME `LIFE-GIVING-`CIRCUMCISED-IN-HEART`-FAITH` BY THEIR HEART-FELT TORAH-OBSERVANCE/OBEDIENCE AS THEIR ABBA AVRAHAM AND MOSHE THE DELIVERER AND YOCHANAN THE IMMERSER (WHO ALL WERE `CIRCUMCISED IN HEART`) -AND WHO WILL SAY THAT THESE WERE NOT SAVED? - THEN THEY TOO (DEVOUT, CIRCUMCISED IN HEART, TORAH-OBEDIENT JEWS) ALSO HAVE ETERNAL LIFE, AND ALTHOUGH MANY JEWS ARE HAVING THEIR EYES OPENED TO THEIR MOSHIACH, YAHUSHUA, WE YET AWAIT THE DAY WHEN `KOL YISRAEL` WILL HAVE THE VEIL REMOVED AND ONLY YAHUWEH WILL DO THAT, AND `TIL THEN THEIR OBEDIENCE, FAITH AND LOVE IN AND TO THE WRITTEN TORAH IS THEIR DOOR TO ETERNAL-LIFE. WHERE OPPORTUNITY IS GIVEN, AS BELOVED BLOODWASHED REDEEMED TALMIDIM OF YAHUSHUA HAMOSHIACH, WE COUNT IT A PRIVILEGE TO SHARE THE GOOD NEWS OF THE FIRST AND SOON-COMING SECOND ADVENT OF OUR MAR YAH, WITH ALL ISRAELITES (EPHRAIM AND YAHUDAH) WHETHER IN DIASPORA OR IN ERETZ YISRAEL SO THAT THEY TOO, WITH US MAY REJOICE IN THE ABUNDANT AND JOYOUS LIBERTY FOUND IN SHOMERING BOTH TORAH AND MOSHIACH YAHUSHUA OUR MELECH AND KOHEN HA-GADOL, AND WE AWAIT WITH JOYOUS GLADNESS THE REUNION OF THE WHOLE HOUSE OF YISRAEL, 12 TRIBES, AT THE RETURN OF YAHUSHUA HAMOSHIACH AND THEN JOINING HEARTS WITH THE BLOODWASHED 12 TRIBES OF YISHMA-EL (FOR ELOHIM DID NOT FORGET YISHMA-EL BECAUSE AVRAHAM`S HEARTFELT PRAYER TO HIS ELOHIM REGARDING HIS SON YISHMA-EL WAS.... O THAT YAH`SHMA-EL MAY LIVE BEFORE YOU! ), .......WE, TOGETHER SHALL FLOW TO THE MOUNTAIN OF THE BAYIT OF YAHUWEH AS DECLARED BY THE NAVI YESHAYAHU, CHAPTER 2 vs. 1-5. BERESHEITH (GENESIS) 17 vs. 18-21. YESHAYAHU, (ISAIAH)CHAPTER 2 vs. 1-5. 12. THAT IN THE BERESHEITH, YAHUWEH ELOHIM SET APART AND SANCTIFIED THE 7TH. DAY AS A SPECIAL WEEKLY DAY OF REST (SHABBAT) FROM ALL LABOURS FOR ALL HIS CREATION AND THAT THAT HOLY ACT HAS NEVER BEEN ABROGATED OR CHANGED IN ANY WAY, NOR WILL EVER BE. A... FOR ABBA AHDAHM AND ALL HIS ZERA TO FOLLOW. C...BEFORE YISRAEL WAS BIRTHED AS A NATION. D...AND BEFORE THE TORAH WAS GIVEN TO RAV MUSA ON THE HOLY MOUNT. IN THE GIVING OF TORAH TO RAV MUSA, YAHUWEH ELOHIM AGAIN SET HIS SEAL UPON THE 7TH DAY SHABBAT WHICH HE HAD IN THE BEGINNING (BERESHEIT CH:2vs.3) SANCTIFIED AND SET APART AS A WEEKLY SHABBAT AND AGAIN CONFIRMED IT AS BEING FOR ENDLESS GENERATIONS, AND INSTRUCTED HIS PEOPLE TO "REMEMBER THE 7TH DAY TO KEEP IT KADOSH" AS DECLARED IN THE 4TH. COMMAND. 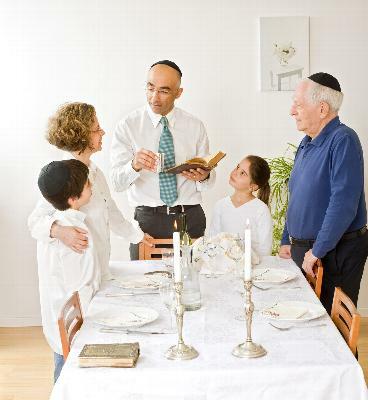 ALL THE TALMIDIM, SHOLIACH AND NEVIIM OF THE RENEWED COVENANT, FOR EXAMPLE, RAV SHAUL, KEPHA, YAAKOV AND YOCHANAN FAITHFULLY OBSERVED THE 7TH DAY SHABBAT AND WERE FOUND SHABBAT BY SHABBAT IN THE SYNAGOGUE OR TEMPLE, AND ALSO EXPECTED ALL THE BLOODWASHED TALMIDIM OF YAHUSHUA TO OBSERVE THE 7TH DAY SHABBAT BY RESTING FROM THEIR LABOURS AND ATTENDING SYNAGOGUE IN ORDER TO HEAR ALL TORAH INSTRUCTION AND FOLLOW IT AS THEY CONTINUALLY DID. THEREFORE SINCE THE 7TH. DAY SHABBAT WAS SET APART AND SANCTIFIED AT THE BEGINNING, WAS OBSERVED BY ALL THE YISRAEL CONGREGATION OF YAHUWEH IN THE FIRST COVENANT AND WAS FAITHFULLY OBSERVED BY THE EARLY BLOODWASHED TALMIDIM OF YAHUSHUA HAMOSHIACH, WE BELIEVE THAT IT STILL IS AND EVER WILL BE THE SET-APART WEEKLY SHABBAT FOR ALL THE CREATION OF ELOHIM LE-OLAM VA-ED. AND THE TRUE NAME OF THE SON, `YAHUSHUA` AS DECLARED BY YAHUSHUA HIMSELF IN THE BOOK OF YOCHANAN CH.17: vs. 6 & 26.